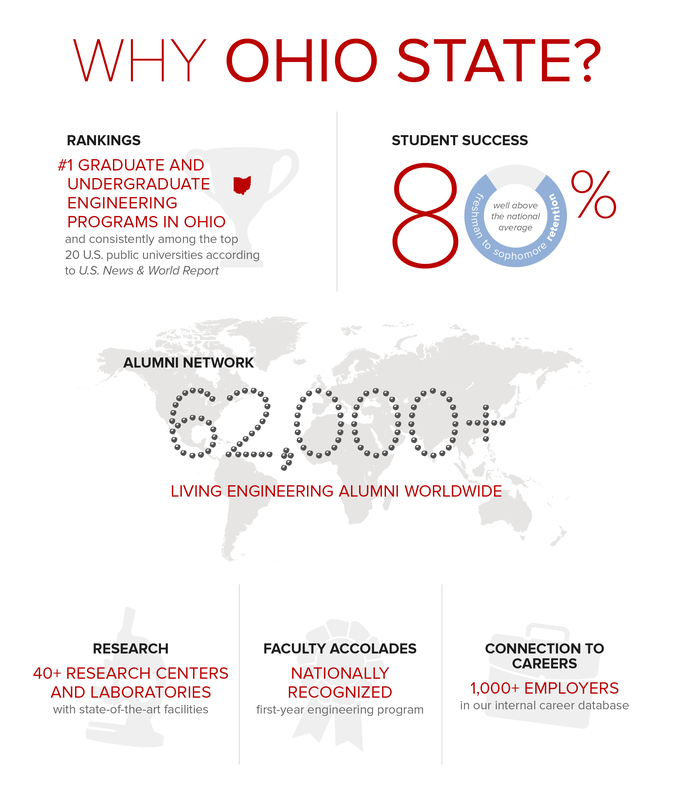 For engineering students at Ohio State, the curriculum goes beyond lectures, beginning with a hands-on course sequence designed specifically for first-year students. You will be engaged in labs and classes—more than 1,500 to choose from—taught by faculty members. An emphasis on team-based and experiential learning, from first-year projects through senior capstones, will enable you to create an engineering curriculum that fits your academic and career goals.